Could do with some of that today. Blackberries not ready here in Scotland (where they are brambles anyway). Any we pick end up in puddings or jam. Maybe I should try some of last year’s jam to blast this cold away. 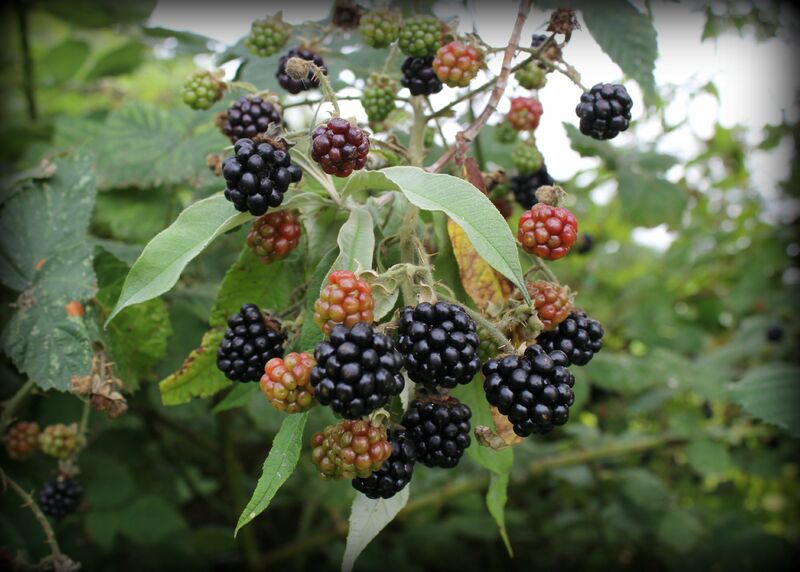 They are brambles where I come from, too! My own blackberry bush isn’t going to produce anything this year but it’s a good reason to go foraging! I really like this recipe. We call these berries bear berries. Thanks for the tip. This sounds good whether it’s effective or not. 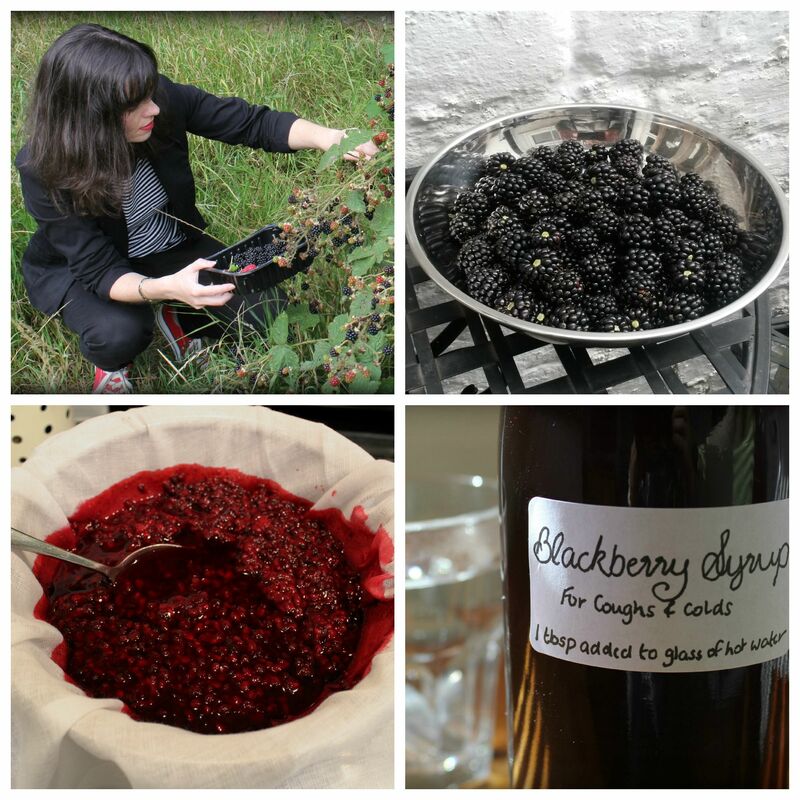 I just made a different blackberry syrup that has star anise in it. Very interesting combination. 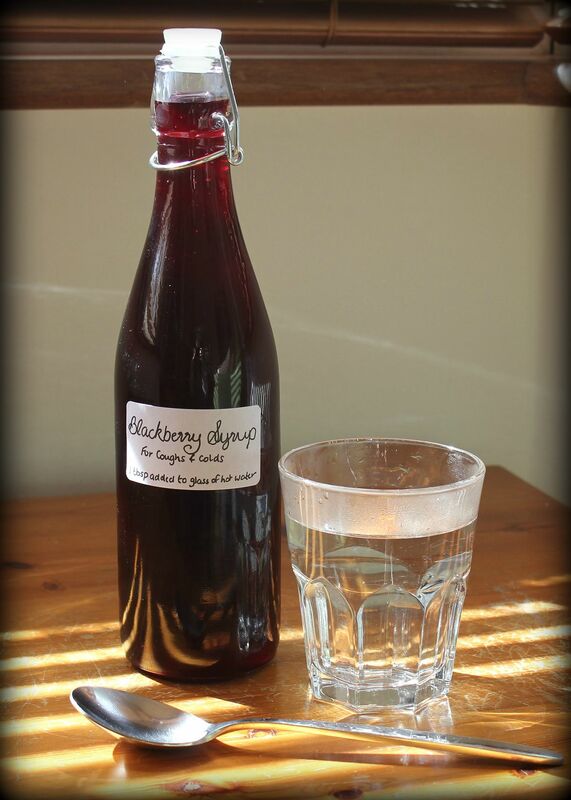 I made elderberry syrup yesterday, apparently that is full of vitamin C and good for colds as well. Looking forward to trying it! Hmmm…. delicious elderberries… let me know how it turns out! How long will this keep ? I was still drinking this batch last year, so two years after I made it. The sugar and vinegar keep it well preserved!